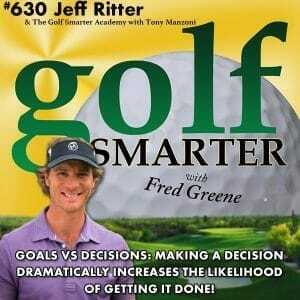 630: Jeff Ritter, a regular contributor to the Golf Channel and Golf Digest is also a Golf Smarter favorite, as this is his 13th appearance on our podcast. Jeff is known for his unique approach to teaching the game. His passion for inspiration, body health and mental flexibility has set him apart as a purveyor of not only playing well but living well. Jeff announced his Make The Turn (MTT) initiative on Golf Smarter on episode 356 (11/6/12) that was the most popular series with more than 20 million viewers on Golf Digest TV. Now he’s here to report the release of the comprehensive MTT app that provides golf and health improvement tips, tricks and advice.